The Togo government on Wednesday launched a new energy policy that aims to provide universal access to electricity in the small west African country by 2030. The "electrification strategy", which relies heavily on renewable energy, will unroll in three phases over 12 years and cost 1,000 billion CFA francs ($1.7 billion, 1.5 billion euros), of which half will come from private investment. The official launch of the programme took place on Wednesday morning at a meeting between Togo's President Faure Gnassingbe and the vice-president of the African Development Bank (AfDB) Amadou Hott. Hott pledged 20 billion CFA francs "to finance private operators", according to the Togo presidency. Along with extending the existing power grid to nearly 1,000 communities, the programme will see a significant investment in solar energy, selling individual kits to remote households and constructing "60 solar mini-plants" across the country, electricity government official Tiem Bolidja told AFP. "French companies like Engie, EDF, or Sunna Design are present in Lome and have expressed their interest in upcoming tenders," Bolidja said. Greenlight Planet, a company that sells solar kits worldwide, has already won a tender to distribute 300,000 units over the next three years. Despite Togo's small size—its population is just 7.5 million—businesses are keen to try out the market. "This is a relatively small market," said Patrick Muriuki, African development director for Greenlight Planet. "But it's an interesting market for us because Togo is moving forward quickly on its electrification strategy" in contrast with other countries who are slow to invest in renewable energy infrastructure. 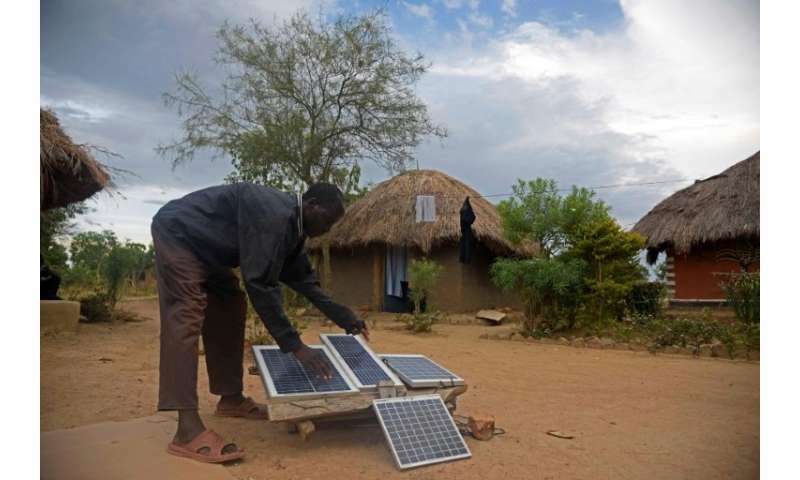 The Togo government has lifted the 30 per cent tariffs on solar kits and there is still a good postal system in the country so they can reach customers, added Muriuki. The launch of the energy plan comes as talks between the Togo government and opposition resumed in Lome after months of political and social upheaval. The opposition does not want Gnassingbe, who has been in power since 2005 after succeeding his father, to stand at the next two elections in 2020 and 2025.